Low Latency CoreMidi Wifi Connection (may also be used via the USB Camera Connection Kit and a compatible USB MIDI Adapter). via TrakProDJ – Deluxe Edition > Traktor Pro Control Surface. Time for Serato to catch up and do something for ITCH with the iPad! A popular DJ blog I subscribe to called Digital DJ Tips posted a new YouTube tutorial entitled “Digital Crate-digging Tips”. As a DJ with a full-time day job, it is almost impossible to stay up on new and popular music unless you stay attached to a radio. Radio DJs can often influence your style to the point where you lose unique ideas for mixes and miss out on non-commercial music. Commercial radio is not the only place to find popular music; however, reliable sources are hard to find. I had never heard of Hype Machine, but I checked it out due to Digital DJ Tips’ suggestion. Suffice it to say that it is now my go-to site for reviewing the latest music. Check them out if you need to stay up on the latest or most popular music floating around! This event was under Sounds of the Rockies. Since they have me doing school events and weddings, I try not to post photos of their events. With students being involved, I am really serious about avoiding issues with posting pics of the schools and their students. With weddings, it is more about maintaining the privacy and intimacy of the wedding day for the couple; I may take photos of the venue and setup before the event, though. Furthermore, SOTR has me use their equipment (speakers & lights) for school which doesn’t reflect what my own typical setup is for events. I don’t want to give the perception that my personal system is larger by presenting their setup as my own. I run a very powerful and compact package, but theirs is much more involved. New Year, but the same exceptional DJ service! Welcome to the Perfect Mix Professional DJ blog. 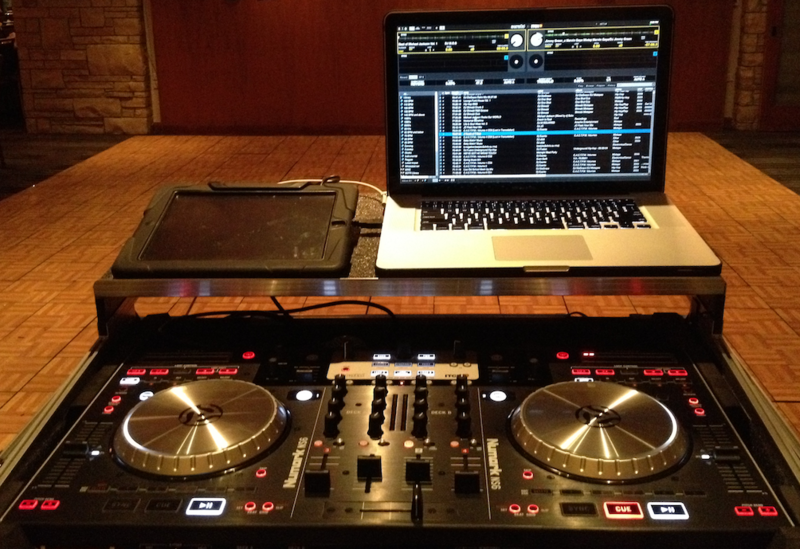 The intent of this blog is to keep my current and future fans updated on my DJ activities and to promote my services. Though this is a ‘blog’, I am very serious about my business: DJing. I currently work for several Denver-based mobile DJ companies, but I am always available for smaller events. I am a true DJ in every sense of the word. I don’t sit back and let a playlist automatically play the songs; I actively and carefully craft the event by selecting each song to mold the evening. One of my favorite celebrity DJs calls it ‘mood designing’. With my professional-grade DJ system and HUGE music collection, I guaranteed that I can design the perfect mood for your event. I have been fortunate enough to DJ for nightclubs, companies, weddings, and private parties across the country. Regardless of the location or celebration, I have never failed to entertain and amaze everyone in attendance. If you are serious about your musical entertainment, then I am the man for the job!